Philip M. Pasquarello is the nation’s Top Gun. Literally. 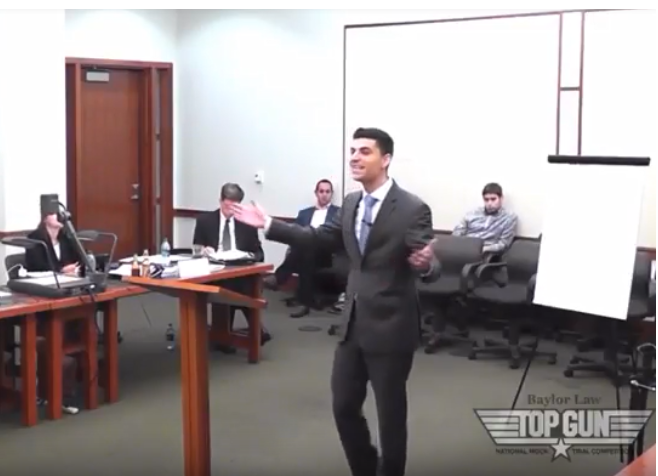 The recent graduate of the Thomas R. Kline School of Law at Drexel University had a phenomenal record at the law school for winning mock trial competitions, culminating with his selection as winner of the “Top Gun” award given to the nation’s best individual mock trial advocate in 2018. Before that, Pasquarello led the Kline School to back-to-back team victories in national mock trial competitions in invitation-only contests against some of the nation’s top law schools. He won top individual honors in both those 2016 and 2017 competitions as well as in regional contests. Recently, Pasquarello, in one of his first cases with Kline & Specter, was co-counsel in litigation that culminated in January 2019 in a $41 million verdict against Johnson & Johnson on behalf of a Pennsylvania woman who was left permanently injured by the company’s defective vaginal mesh implant device. The verdict included $25 million in punitive damages. Before becoming an attorney, Pasquarello served as a law clerk at Kline & Specter, where he did legal research, assisted in trial preparation and drafted complaints involving medical malpractice cases. His practice concentrates in medical malpractice and personal injury cases at the firm. Pasquarello also worked with Kline & Specter’s Andy Stern and his wife, Gwen Stern, a professor at the Kline Law School, in authoring a case study book for the National Institute for Trial Advocacy. The 130-page publication depicts events based on a hotly contested medical malpractice case litigated by Stern that resulted in a $10.1 million jury verdict that was appealed all the way to the Pennsylvania Supreme Court and affirmed. Pasquarello worked internships at another Philadelphia law firm and at the United States Attorney’s Office, where he handled both criminal and civil litigation. Pasquarello won several awards in law school in addition to those for mock trial prowess. He graduated seventh in his class, was on the Dean’s List every semester and was the winner of the Kline & Specter Award for Exceptional Advocacy and the Rising Advocate Scholarship. He won Best Student Performance awards for four classes: Criminal Law, Introduction to Trial Advocacy, Evidence, and Advanced Trial Advocacy, Civil. Pasquarello earned his bachelor’s degree at the University of Delaware, where he also was mock trial team president.